​Malta host Spain at the Ta' Qali National Stadium on Tuesday as both sides look to continue their strong starts in Group F of the Euro 2020 qualifiers. ‍♂️ ¡Vuelta al trabajo! Tras la victoria de anoche, toca pensar en Malta y buscar tres puntos más. Spain have no fresh injury concerns following their 2-1 victory over Norway on Saturday, though ​Atletico Madrid midfielder Saul Niguez was called up by Luis Enrique to replace Fabian Ruiz ahead of the opening clash, with the ​Napoli star suffering from illness. The two sides have met seven ​times previously and, unsurprisingly, Spain have won on every occasion. Spain also suffered defeat to England in the Nations League, but have since responded with a 1-0 victory over Bosnia and Herzegovina​ in November and a 2-1 success over Norway on Saturday in Enrique's side's first outing of 2019 to open their Euro 2020 qualifying campaign. 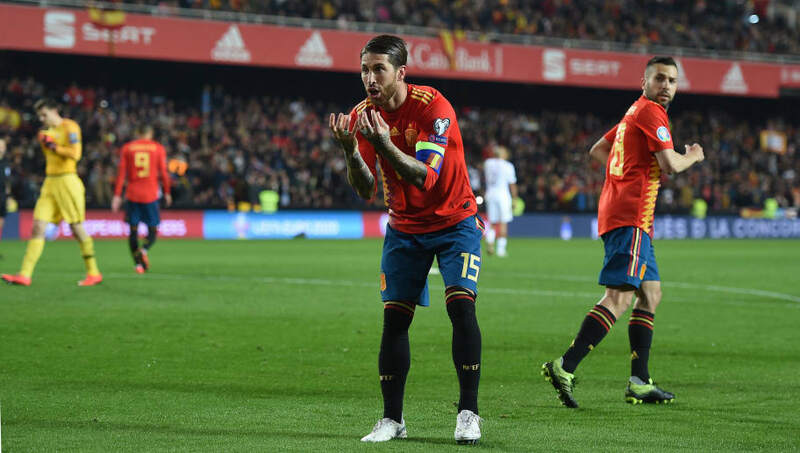 Spain may not be at their free-flowing best under Luis Enrique quite yet, having required a penalty from ​Sergio Ramos to see them over the line with victory against Norway last time out, but La Roja are still a side bursting with quality all over the pitch. Emphatic dominance may no longer be the way of their game as was the case during the previous golden era, star-studded with Xavi, Iniesta and co, ​but Spain have found a revised means of winning with efficiency under Enrique and they should have too much quality for Malta.